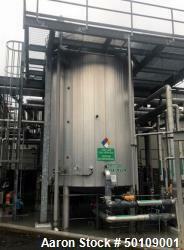 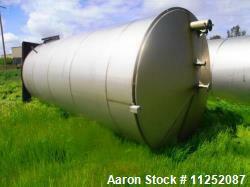 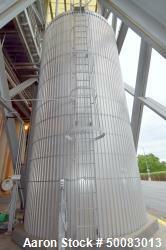 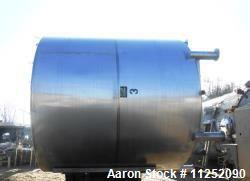 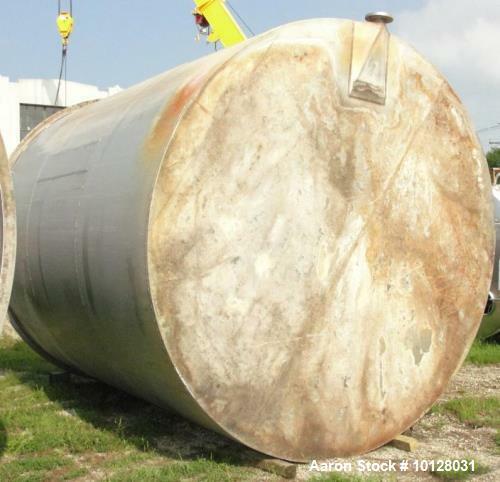 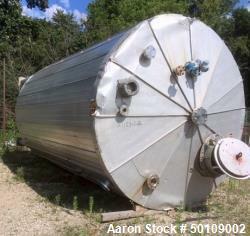 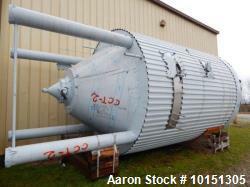 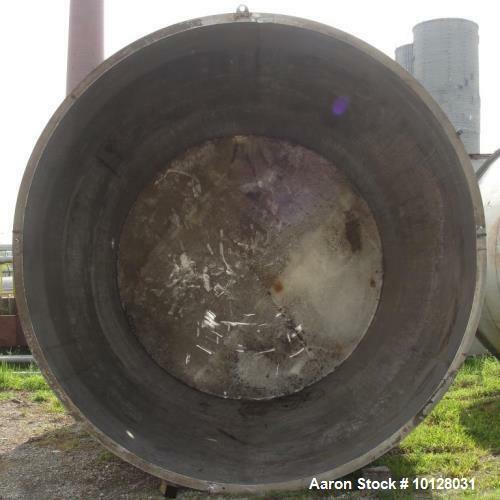 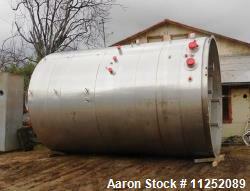 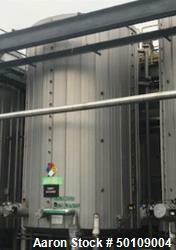 Used- Used- 11,900 Gallon Vertical Stainless Steel Tank. 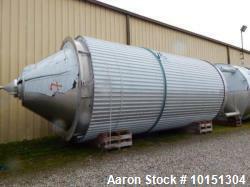 Interior dimensions 140" diameter x 175" tall, open top, sloped bottom with a 5" flanged outlet that drops down and out to the side. 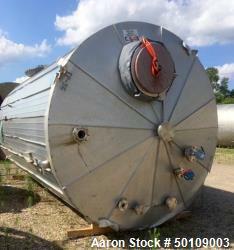 Side has a 6" flanged outlet. 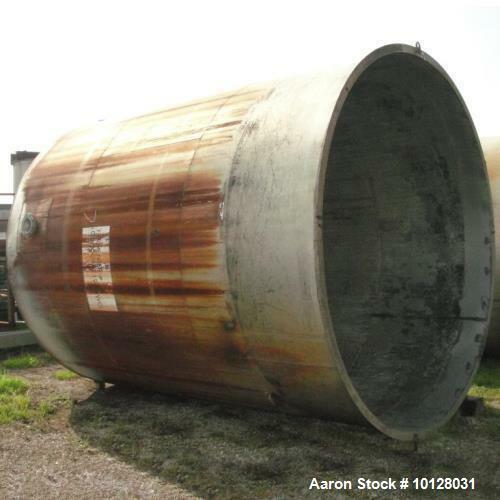 Overall dimensions 144" diameter x 177" tall. 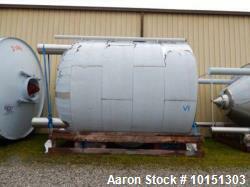 Last used as fermenting tanks for a whiskey distillery.